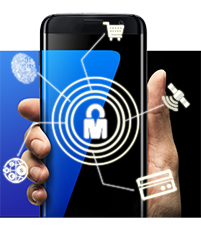 Mobile Connect is a secure universal log-in solution promoted by GSMA. Simply by matching the user to their mobile phone, Mobile Connect allows them to log-in to websites and applications quickly without the need to remember passwords and usernames. With such a high proportion of users forgetting log-in details, there is a need for a secure solution that bypasses the issue of forgetting passwords, thereby keeping the user engaged. One of the key relevant performance parameter for Mobile Connect acceptance is the time required for the user to complete the authentication. The testing capability for Mobile Connect is already available in Xplorer QoS. The Robots interact with the Mobile Connect platform, as a real subscriber does, to complete the authentication process. The solution provides 24×7 visibility of service availability and identifies potential quality degradations caused by some node across the endtoend chain. We are pleased to announce our participation at TV Connect 2015, taking place at the ExCeL Exhibition Centre in London on 28th – 30th April 2015. Ibys Technologies pioneer in providing QoS monitoring solutions to the industry, wants to invite you to visit our stand 37. Xplorer QoS is our HW / SW platform to monitor End-to-End quality of service, as perceived by end subscribers. Our active probes support Quad-Play testing capabilities (fixed, mobile, internet and TV). OTT/IPTV testing capability for Xplorer QoS is available for PC, Mobile and STB platforms and provides perceptual quality based on MOS and KPIs like Zapping, Buffering and Audio Impairments. Are you a mobile, cable Operator or video content provider and you would like to know how we can assist you with your video QoS/QoE monitoring strategy? Schedule a meeting with our team today! 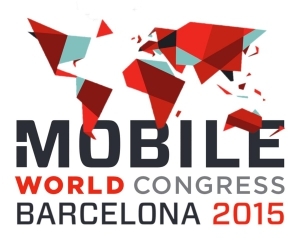 Ibys Technologies at Mobile World Congress – Barcelona. We would like to thank you for visiting our stand at Mobile World Congress. We hope that this important telecom event has fulfilled your expectations and that you have enjoyed your stay in the city of Barcelona. As reminder, Ibys Technologies S.A. is a Spanish company present in Telco arena since 1989, supplying leading QoS/QoE testing solutions and with vast experience in Africa and worldwide. Our E2E active testing platform, Xplorer QoS, allows operators and regulators to automatically monitor the quality of their services (SMS, Voice, Data, and others like OTT/IPTV…) supporting both mobile and fixed technologies (2G, 3G, 4G, xDSL, FTTH…). Please do not hesitate to contact us since we will be excited to assist and support you regarding your QoS needs and challenges. The Spanish company Ibys Technologies whose activity focuses on quality control of telecommunications services, launches during MWC new tools for the supervision of the service of television and video on demand. The new functionalities are able to ensure both the availability of the contents and channels offered to users and the image quality perceived by said users. 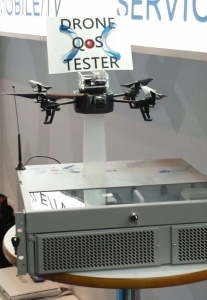 In the past edition of the MWC Ibys presented a development, based on drones, that allows using this type of devices for the supervision of big areas, validating and guaranteeing the quality of services in the area of interest. The Xplorer QoS platform developed by Ibys consists of a series of Active Probes, which are deployed in the selected area and allow simulating user’s activity in each spot in order to obtain performance indicators of the different services (KPIs). The results collected are sent to a central server for its storage, and further visualization and analysis. 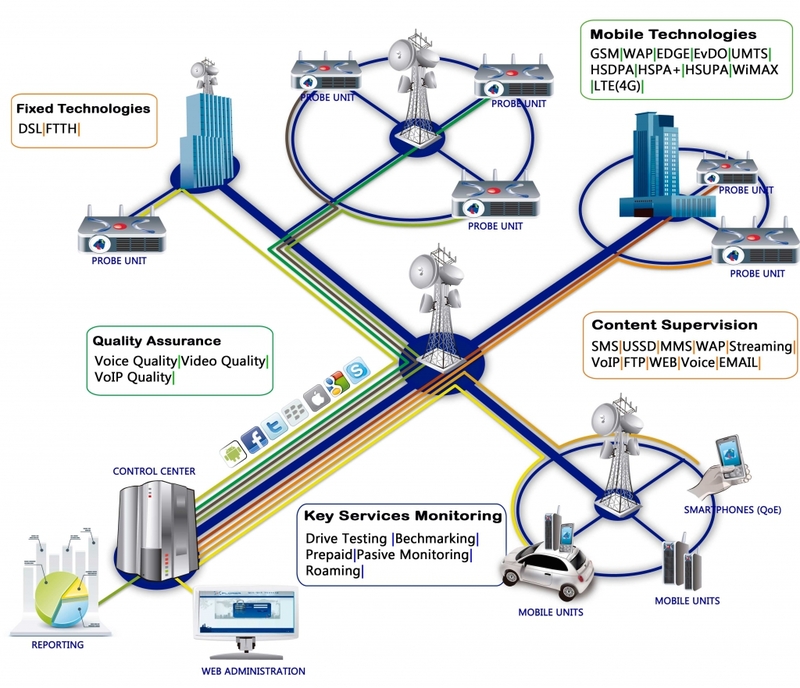 The Xplorer QoS System has been designed to facilitate the integration of different technologies of network access (from GSM to LTE or WiMAX) as well as to allow the incorporation of new services. Nowadays, the Xplorer QoS System is able to supervise any access technologies and any proposed services or scenarios by simulating the user activity. We would like to thank you for visiting our stand at Africa Com 2014. We hope that this important telecom event has fulfilled your expectations and that you have enjoyed your stay in the city of Cape Town.